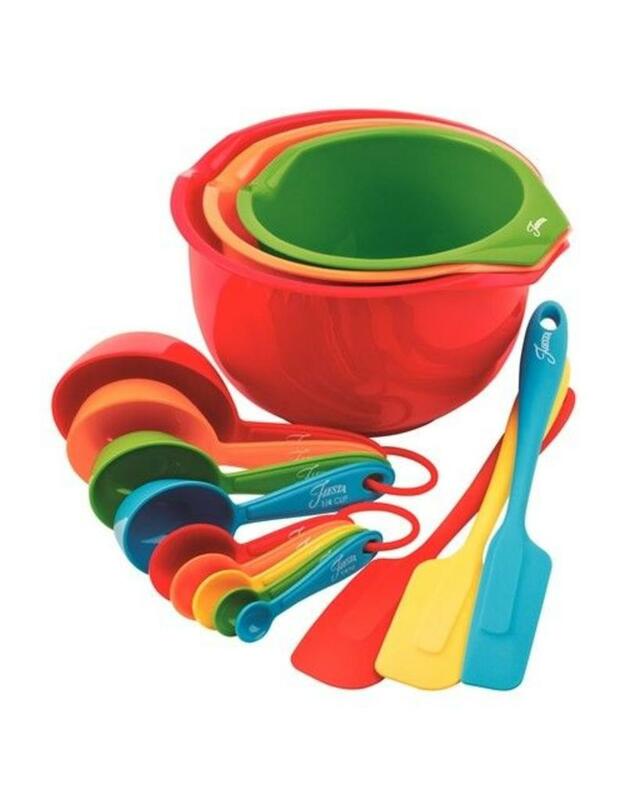 The 15 Piece Fiesta® Prep and Serve Baking Set Multi-Color is full of Color and Uses. 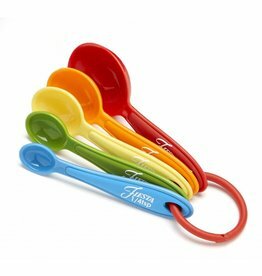 The 3 Durable Silicon Spatulas are designed to eliminate the need for multiple utensils and the size options help you scrape out every last bit from Jars, Dishes and Containers. They also have a hole for easy hanging and space saving storage. The Durable, Corrosion Resistant plastic measuring tools have Easy to Read Markings as well as a nesting design with a ring. The Rings can be opened and the utensils Removed from it, If you so Desire. The Durable, Corrosion Resistant plastic mix and pour Bowls feature handle and spout for ease of use. 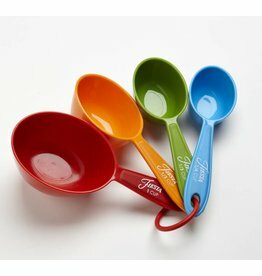 The Bowls have a Silicon, Non-slip base for stability and safety. Multi-function and multiple sizes for convenience, versatility, and easy clean-up. All Pieces are dishwasher safe. Imported from China.